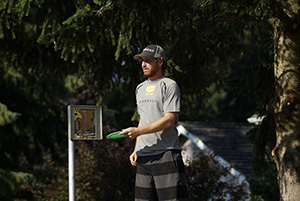 Dana is one of the top disc golfers in the Midwest and is Team Ledgestone's premier player. Dana has had many top finishes at big events and throws both forehand and backhand. Dana is known for running some sweet tournaments and resides in Channahon, IL with his wonderful wife Ashley.